So I've been getting a lot of hits from people looking for a 2013 Nail Art Challenge and realized that when you got here you would just be left with me filling last year's popular challenge. 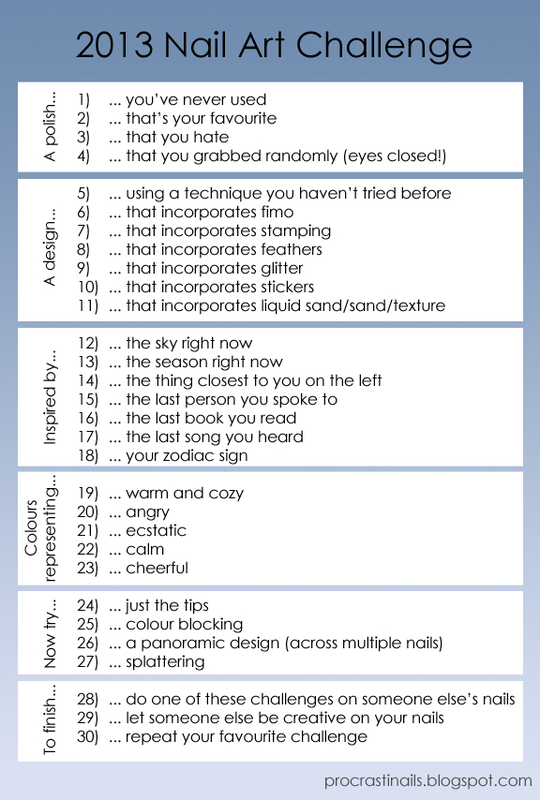 With that in mind, I created for myself a completely new nail art challenge for 2013. It isn't as directive as some other challenges are, but rather gives you things to look to and be inspired by. I really wanted to encourage being in the moment, and to look at things that are already in your life to guide your designs.